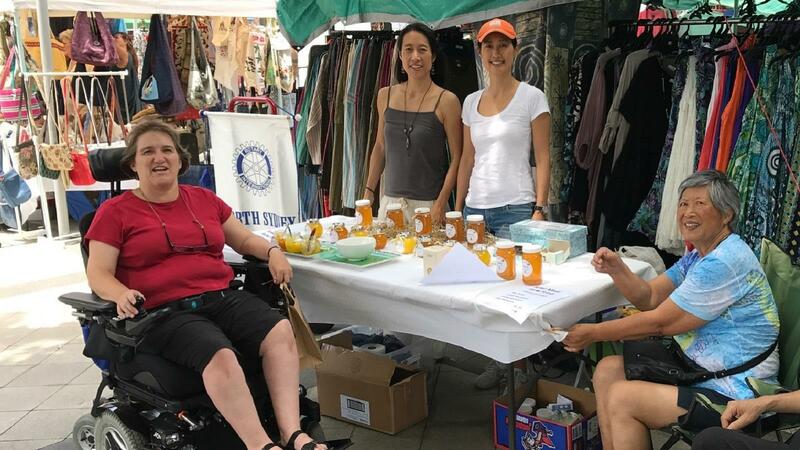 Our club brings together people who share a similar drive to do good in the world. 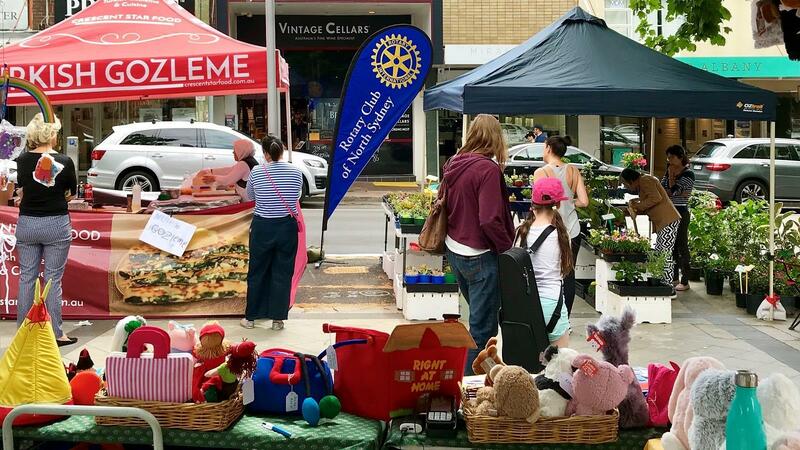 We are actively engaged in community projects that support local causes, as well as international projects that expand Rotary's humanitarian reach around the globe. We also embrace the business community through vocational service activities, and support and stimulate young people to achieve their life potentials. 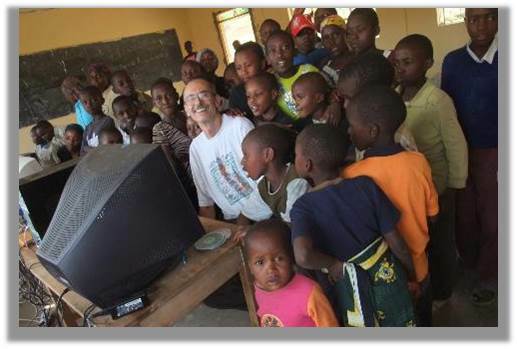 Check out our Club Projects to see some worthwhile causes we've been involved in. 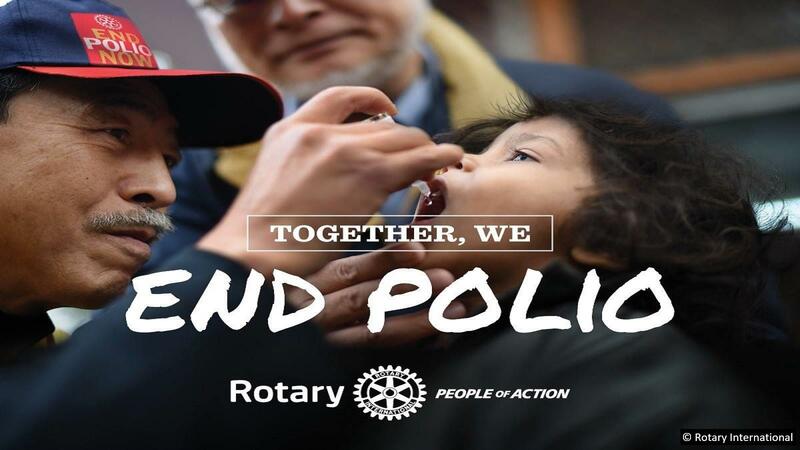 Better still, join us at one of our meetings and see how you can engage Rotary and make a difference! 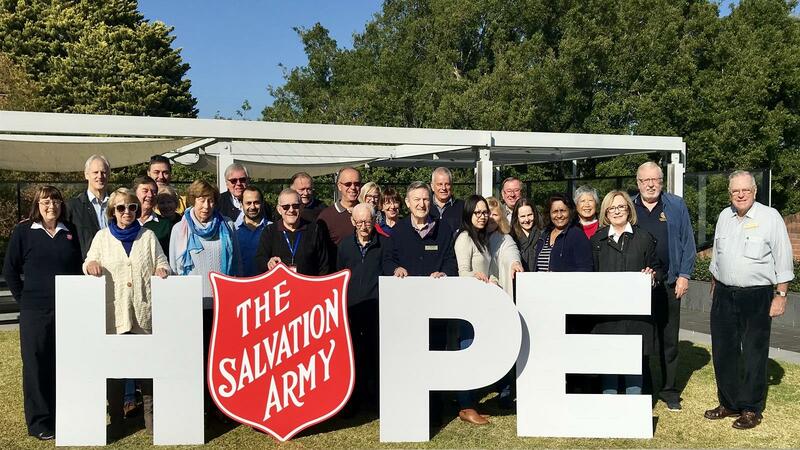 Read our news stories below to see how we've been putting that motto into action. 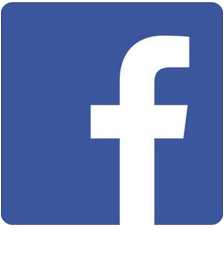 You can also follow us on for more updates on our activities! 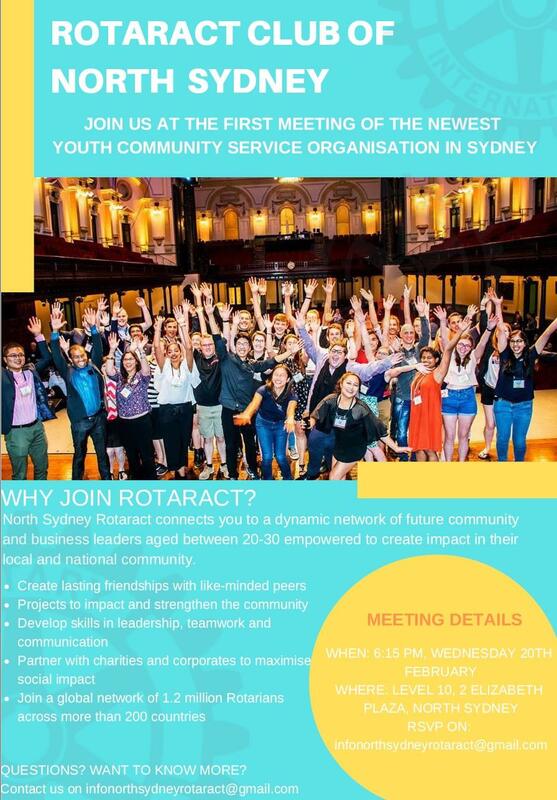 RotarACT North Sydney's First Meeting! 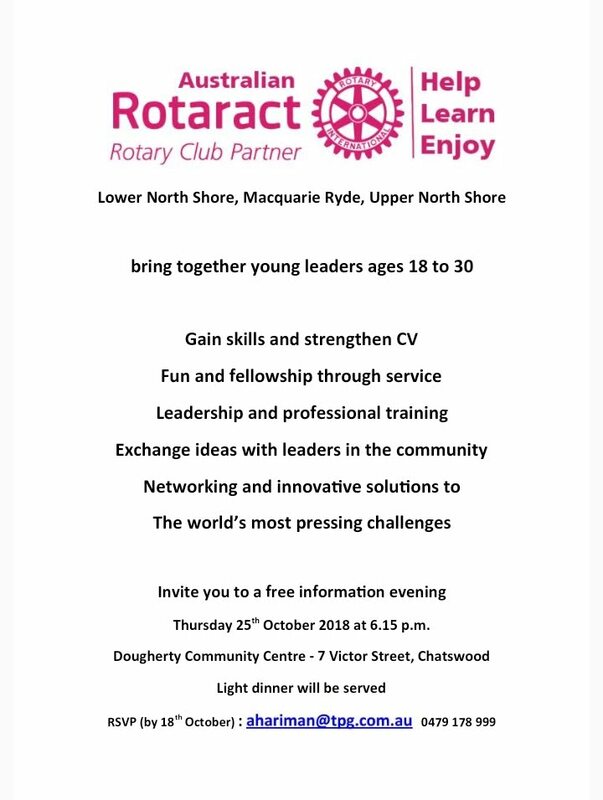 Come along to the first meeting for future leaders 18-35yo and see where RotarACT can take you! 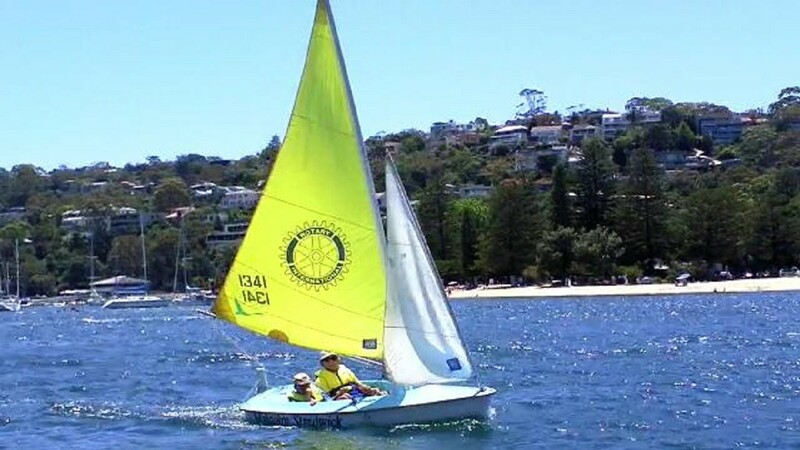 Over the recent Easter Weekend two sailors from Sailability Middle Harbour competed in the Hansa Class 303 National Championships held at the Kogarah Bay Sailing Club - the first time we have competed in such an event. 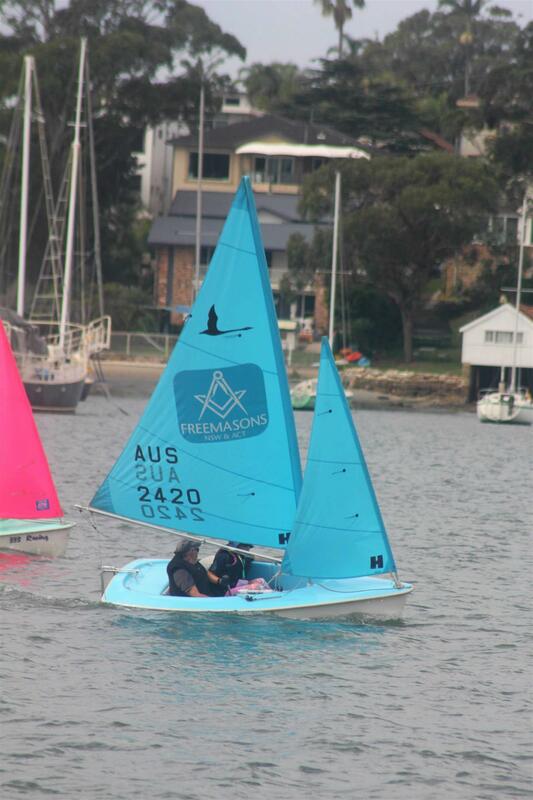 With only minimal preparation, and the encouragement and coaching from Middle Harbour Sailing Manager David Stalley, Tash Garrity and Chester Bendall surprised the critics with Tash coming second in the two person division and Chester a credible 20th in the solo division. 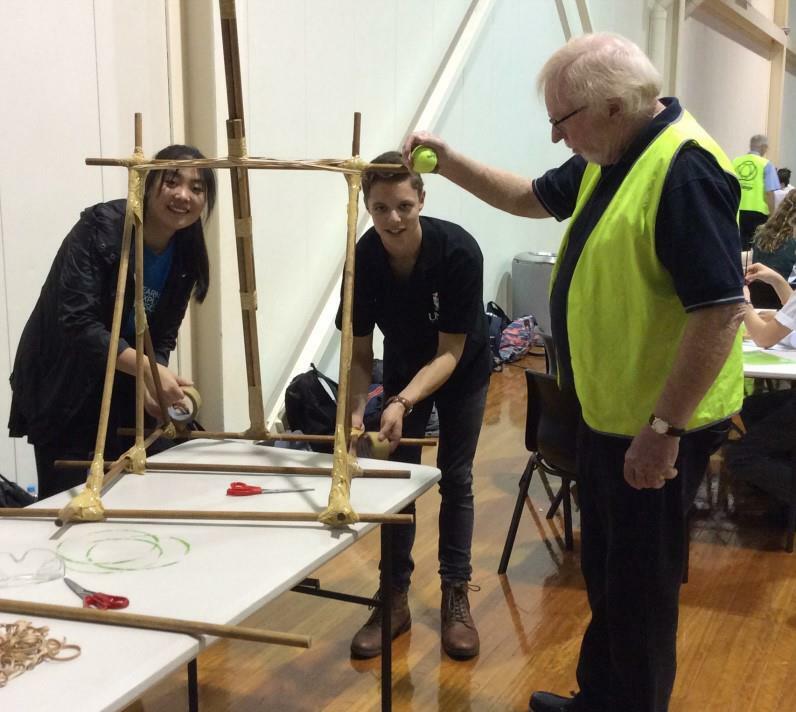 The Science and Engineering Challenge is a youth program created and run by the University of Newcastle in partnership with communities, Rotary clubs, universities and sponsors. 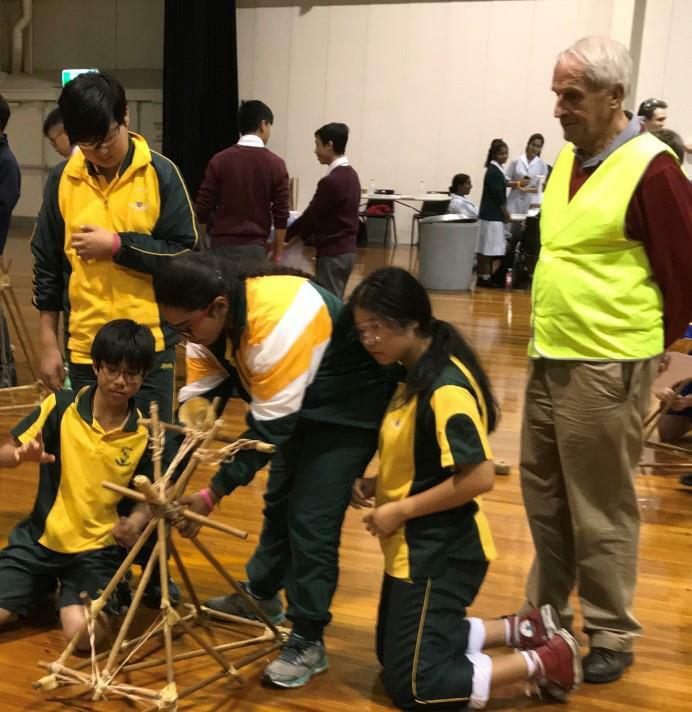 It is designed to inspire Year 10 students to choose a future in science and engineering when considering their subjects for their final two years of high school. This year the challenge was held on 19– 23 March, 2018 at Sydney Olympic Park . 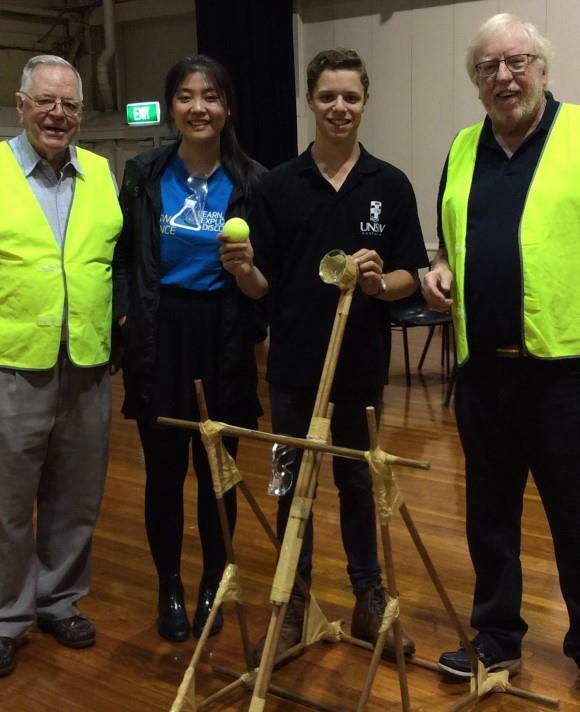 North Sydney Rotarians Geoff, Tony and Philip volunteered their time at this national event and were assigned to supervise teams in the ‘Catapult Challenge’! After constructing their swing-arm catapult out of dowel, students gained points for length and accuracy of the flight of their projectile. Our Club hosted representatives from the organizations which so generously participated in the ‘Tree of Joy’ activities leading up to last Christmas. Nearly 3000 gifts were collected. These donated gifts were distributed to: Wesley Mission, Salvation Army, Children’s Hospital, Exodus Foundation and The Wayside Chapel. All of whom were extremely grateful for the generosity of the public and the work done by our club. 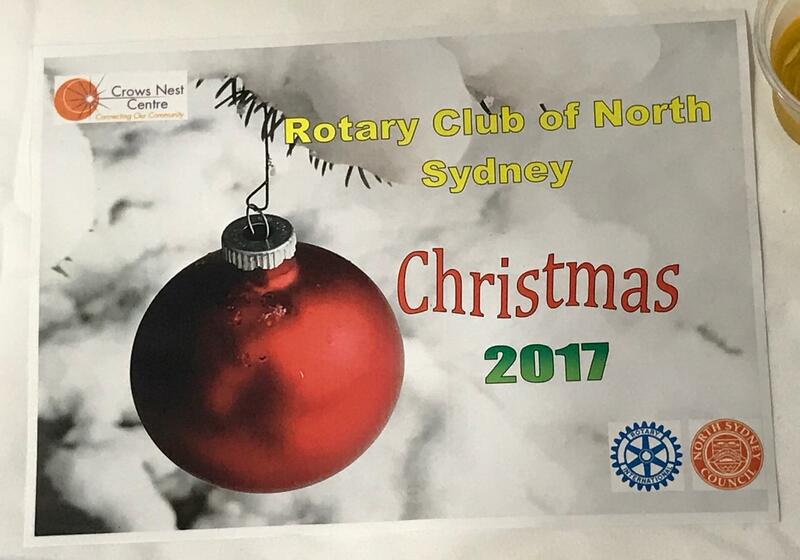 PP Jenny Thomas, Chief Rotarian for ‘Tree of Joy". Awarding President Elect Ross Waugh with a Certificate of Appreciation. 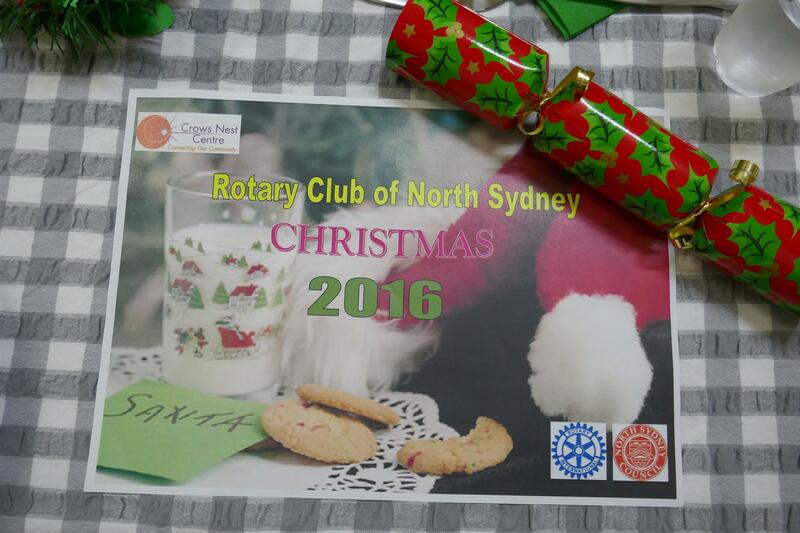 A very enjoyable Christmas Lunch Meeting was held at Norths for our last meeting in the calendar year. It was great to see the many friends who joined us for this special occasion. 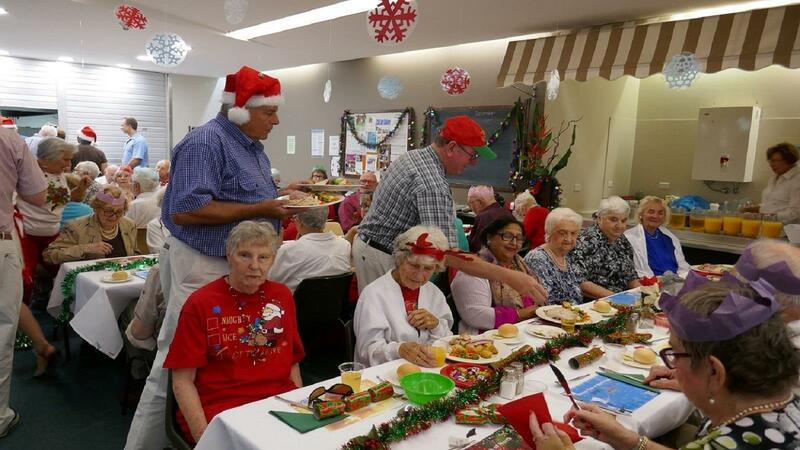 Excellent fellowship was enjoyed and Norths served generous portions of the special Christmas fare we had organized. 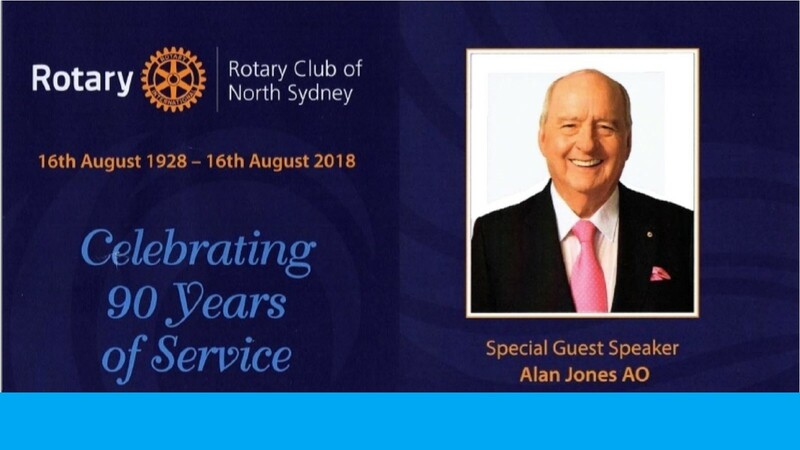 Each year Rotary Club of North Sydney holds its Pride of Workmanship Awards. The Awards acknowledge the achievements of Local Businesses and Employees exhibiting outstanding service and are based on the candidate's work ethic, attitude, performance, responsibility and commitment to their position in their enterprise. 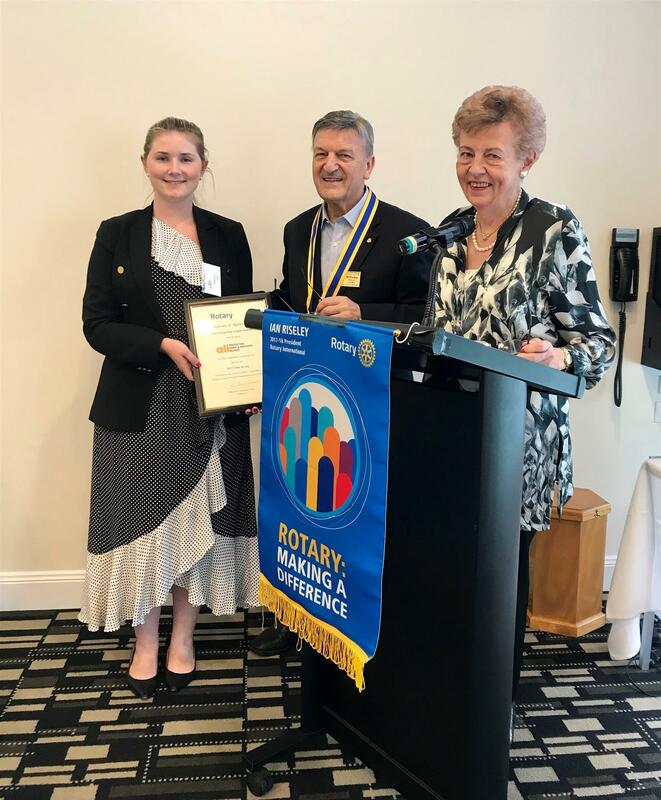 This year, a very pleasant Awards evening was had at Northbridge Golf Club on Thursday 16th November when our club joined forces with Crows Nest Rotary Club and Rotary Club of North Sydney Sunrise. Two Nominees from each club meant that there were a total of 6 awardees being presented which made for a splendid evening. In our world today, it is sad to know that there are an estimated 40 million people living in slavery. An even sadder fact is that a quarter of these are children. 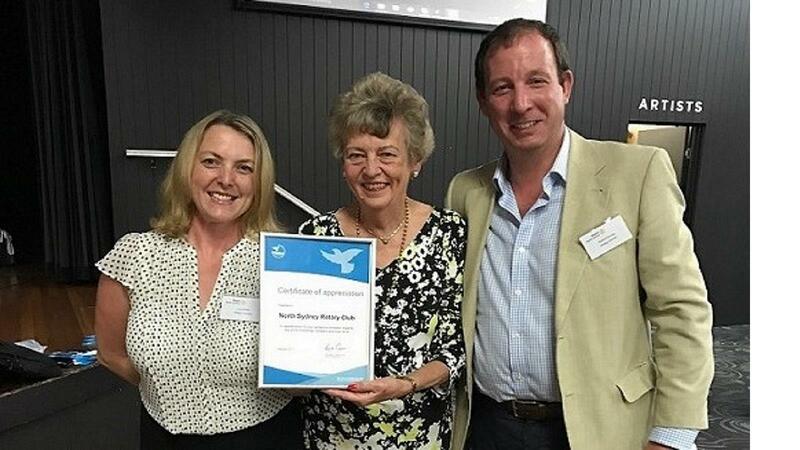 Destiny Rescue is an organisation that is standing out as a beacon of hope to the millions of children who are trafficked or trapped in sexual exploitation. 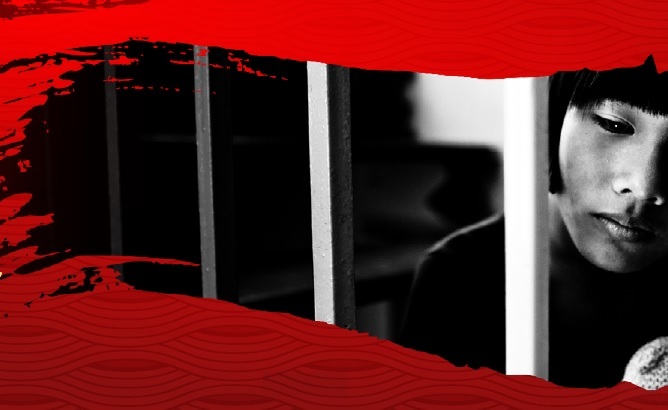 Their rescues often involve gaining trust with the enslaved children and partnering with anti-trafficking police to gather intelligence and facilitate raids of brothels. 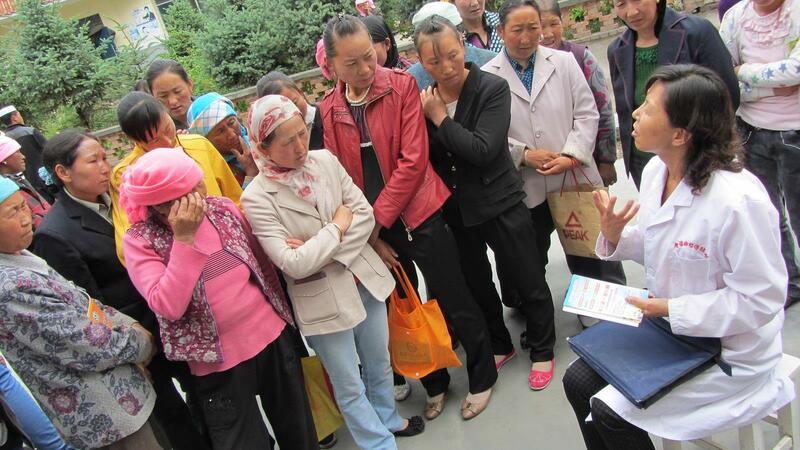 But these rescues are just the beginning of a series of activities this organisation is committed to. Destiny Rescue’s efforts also extend to rehabilitating rescued children and empowering them, or their families, to create a new destiny for themselves. 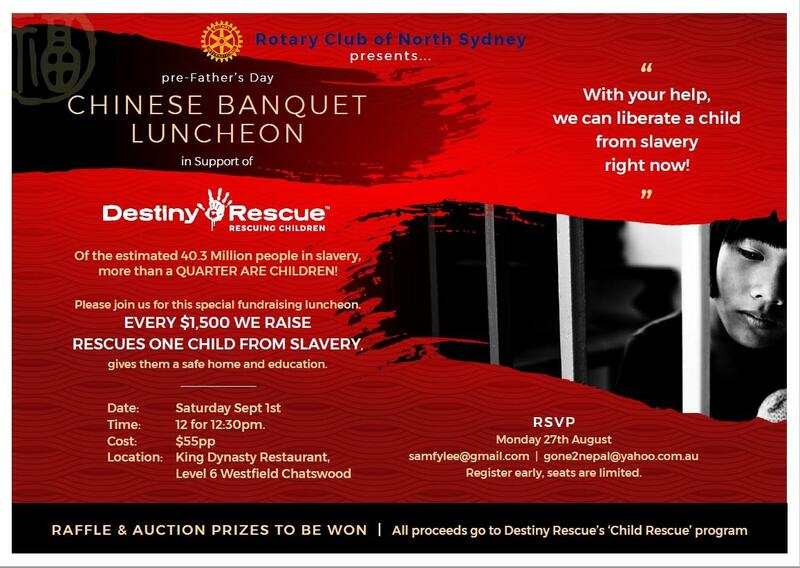 This last two Rotary years 2017-2019, in support of Destiny Rescue’s courageous, relentless and commendable efforts, our International Service team have created a project to raise funds dedicated to child rescues. Every $1500 raised means a child rescued from a life of slavery. Dear fellow Rotarians, firstly thank you for the confidence and trust in me to serve you as your president for the coming year. 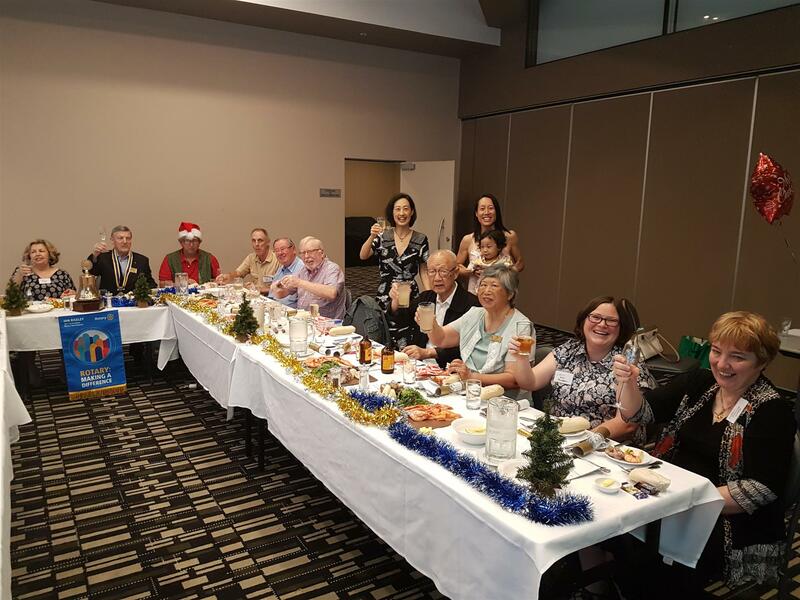 By all appearances we had a very successful club changeover at the Northbridge Golf Club and I trust that those who attended had an enjoyable evening. 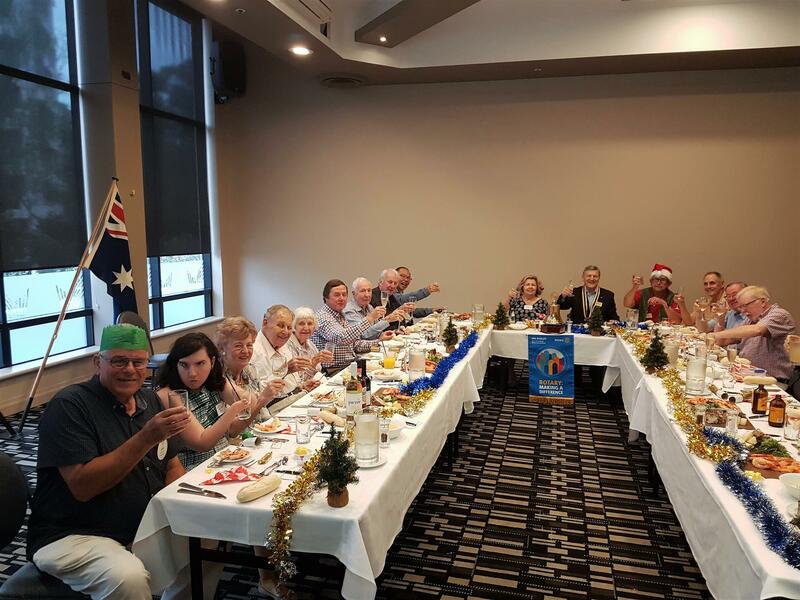 The occasion was made special by the attendance of our new District Governor Peter Ward as well as that of Past District Governor Bruce Allen. 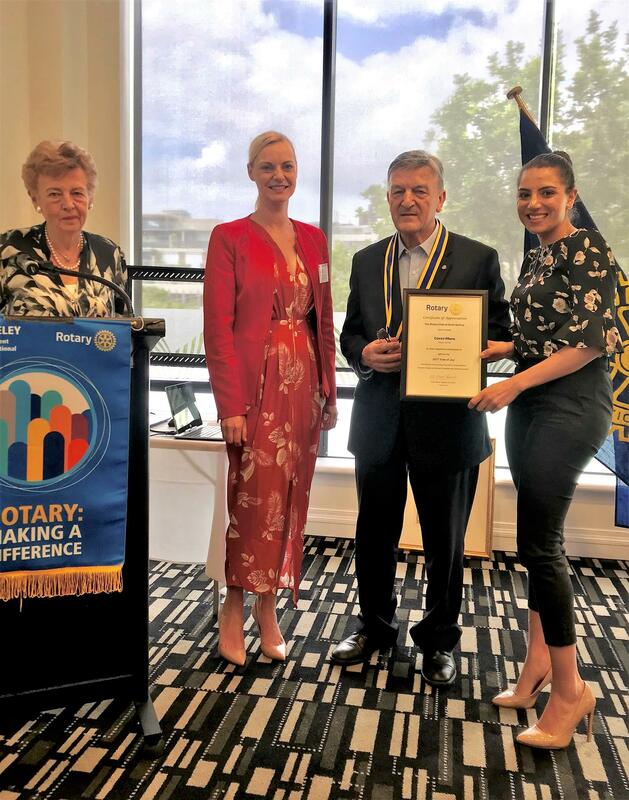 The Mayor of North Sydney Jilly Gibson, a great friend of the club, was also a guest and so was the new MP for North Shore, Felicity Wilson. A special mention must go to our Master of Ceremony Tom Sweeney who was a class act and added much to the enjoyment of the evening. 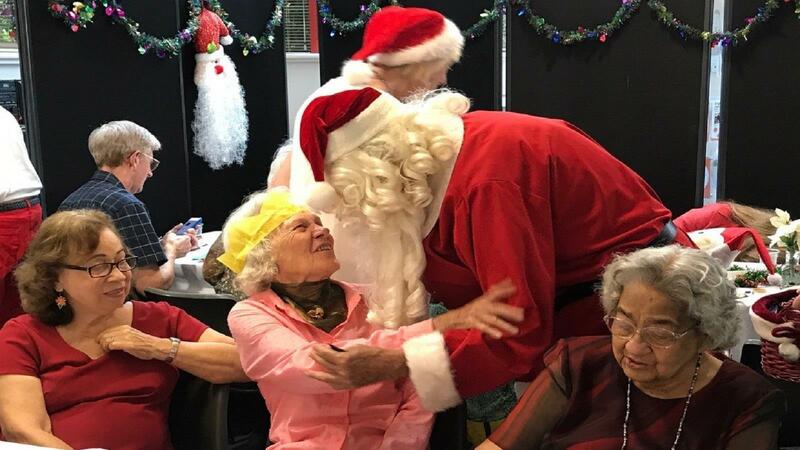 This year we held our Senior's Christmas Party again for more than 150 seniors. 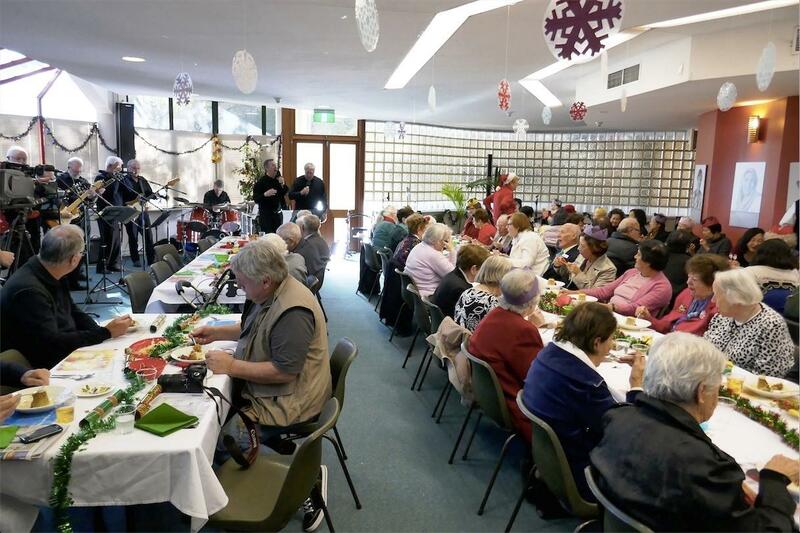 Our guests are picked up by members of our club or by bus and brought to The Crows Nest Community Centre where they have a wonderful lunch cooked by the staff of Billy Blue. 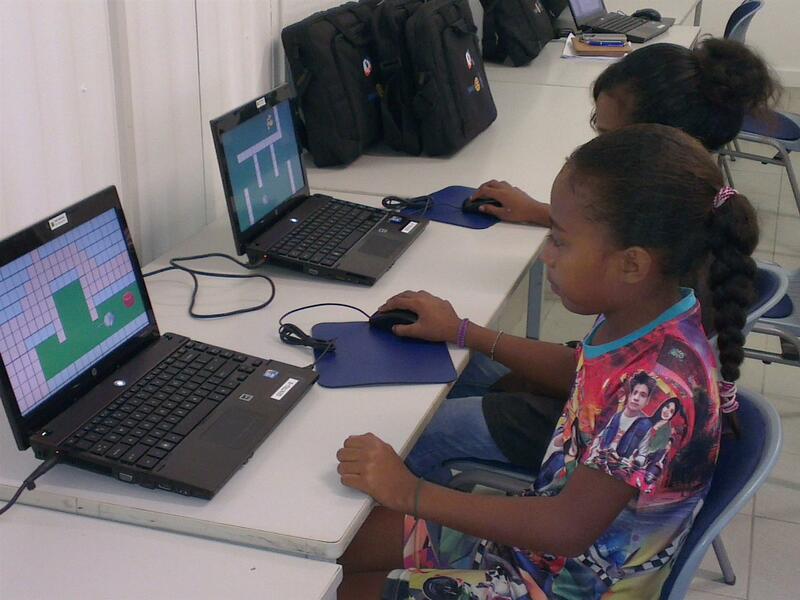 Our Computer Education project strived to enhance educational opportunities for international communities in need with a special emphasis on girls. 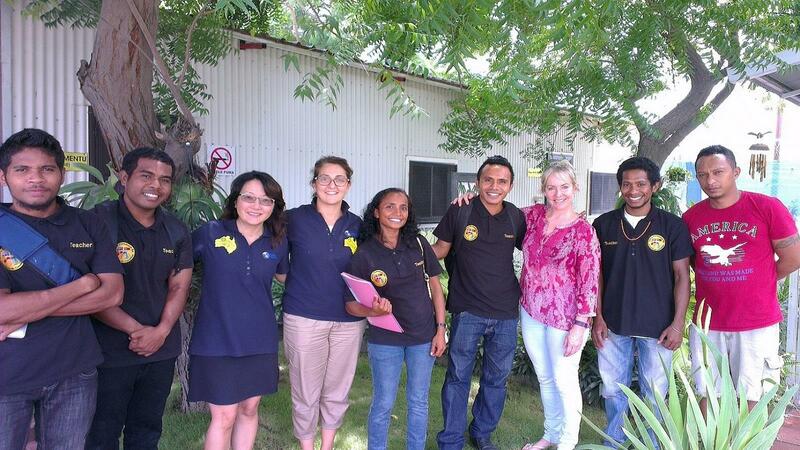 Rotarians Tammy Chu and Anna Barletta have completed the implementation and training in Dili, Timor-Leste. It was an enjoyable day with perfect weather for over 40 people at the Fern Valley Ranch farm. Friends and families participated in cattle feeding, orange picking, hiking to a scenic waterfall, and a BBQ lunch throughout the day. 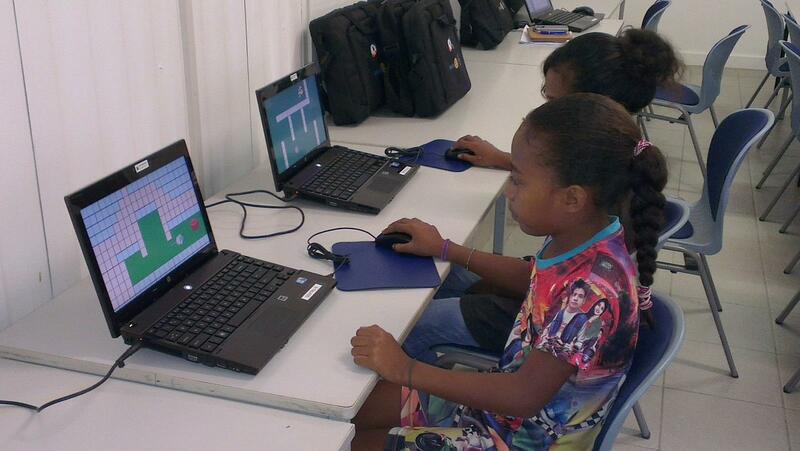 Funds were raised in support of providing computer education to the Learning Centre for Youth (Sentru Formosan ba Juventude no Communidade) in Dili, Timor-Leste. 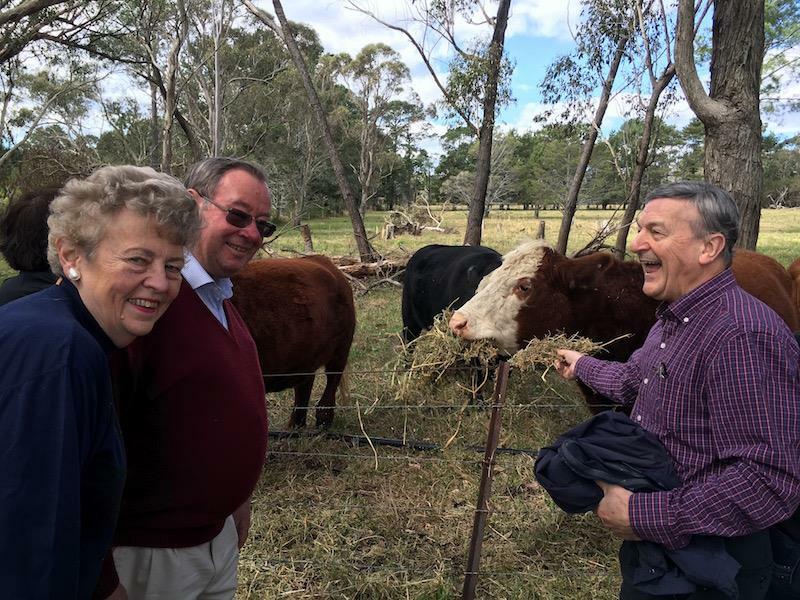 Rotarians Jenny Thomas, Ross Waugh, Kevin Thomas, Denis & Jan Booth attended the ground breaking ceremony of a new detox facility to be constructed at Triple Care Farm, Robertson NSW. 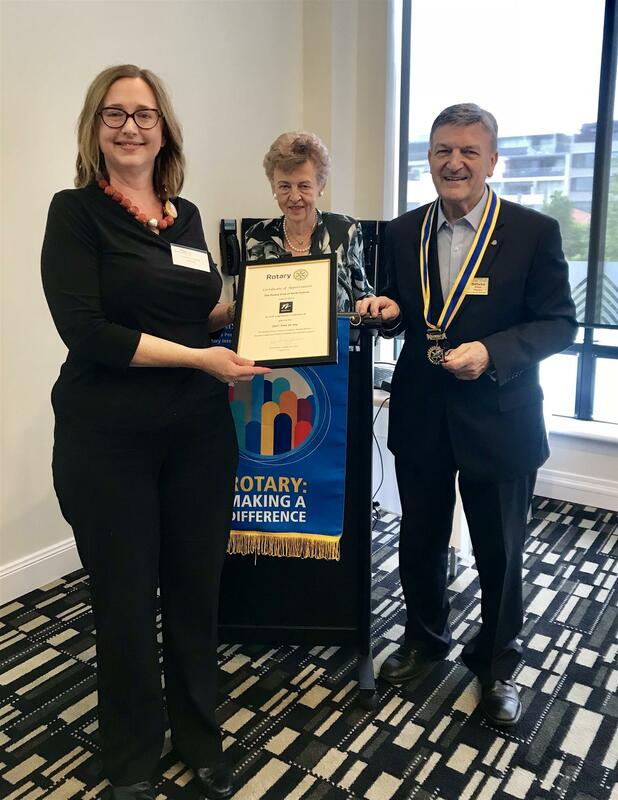 The Rotary Club of North Sydney has had a long association with The Sir David Martin Foundation through Lady Susie Martin (an Honorary member of our Rotary Club). Triple Care Farm is an award winning residential rehabilitation program run by Mission Australia for young people aged 16-24 years. 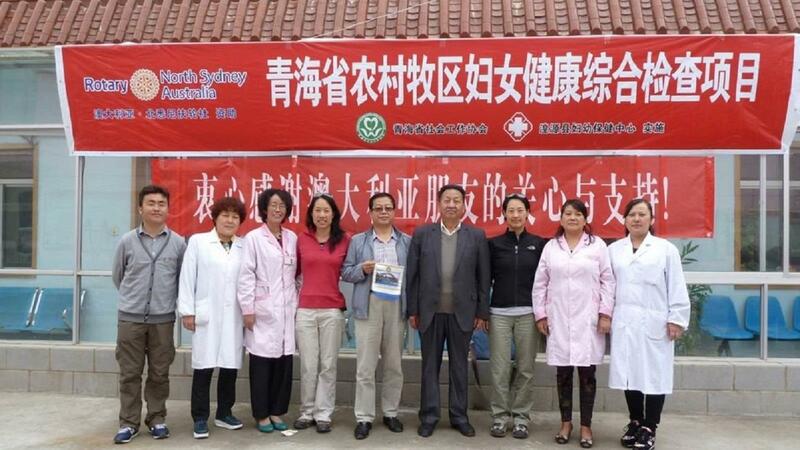 The formal ceremony included Federal & State politicians and representatives of Sir David Martin Foundation and Mission Australia. 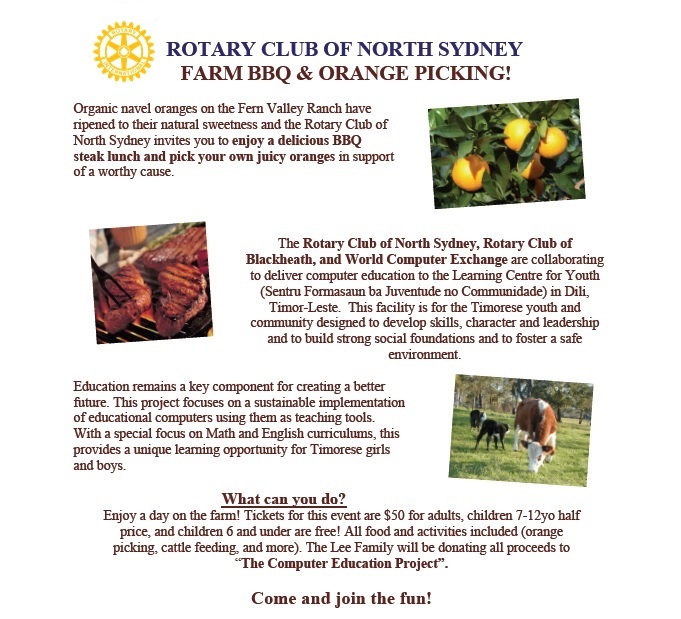 Come enjoy a Day at the Farm and help raise funds to deliver Computer Education to the Learning Centre for Youth (Sentru Formasaun ba Juventude no Communidade) in Dili, Timor-Leste. 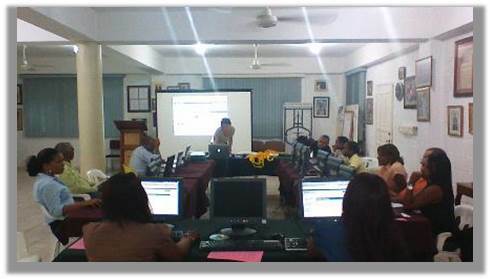 In June 2016, the Club in cooperation with World Computer Exchange (WCE) selected Computer Education as their International Project for 2016-2017 Rotary year. 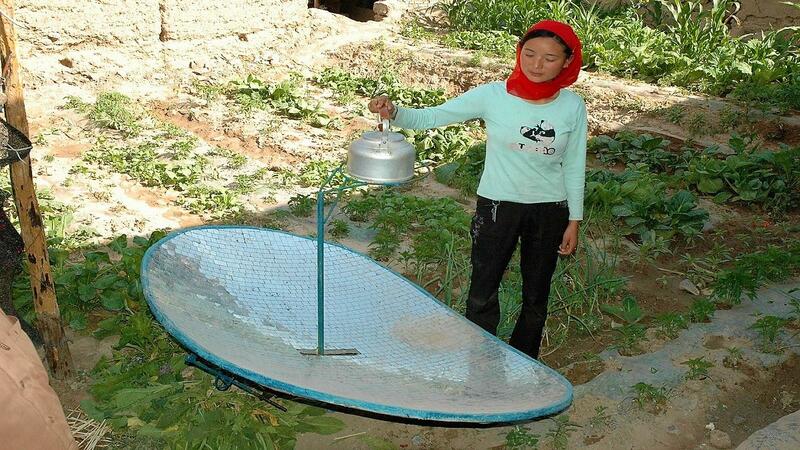 This project strived to enhance educational opportunities for communities in need with a special emphasis on girls. 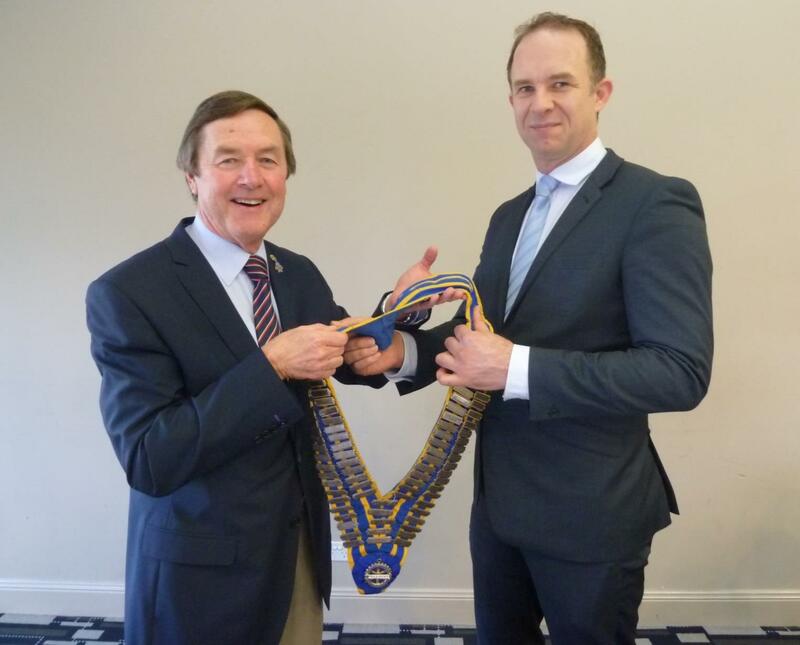 On June 30, President Denis Booth held a Changeover Luncheon to welcome our incoming President Jeremy Brennan. 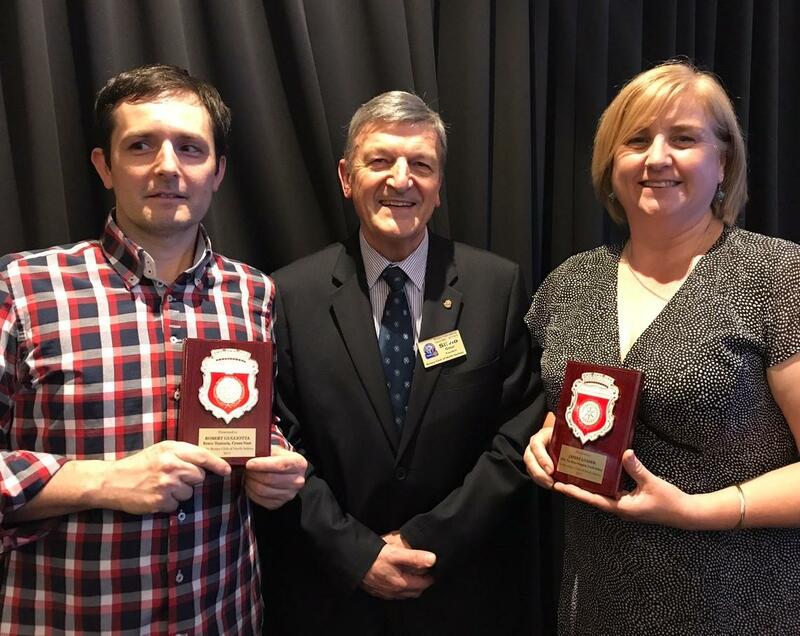 President Denis awarded Silvio Gmur a Paul Harris Fellow Award for his work in Youth Service and Ken Pratt received his 3rd Paul Harris Fellow Sapphire Pin Award for his invaluable contribution to the club. Jenny Thomas also received a well deserved gift of thanks from President Denis. 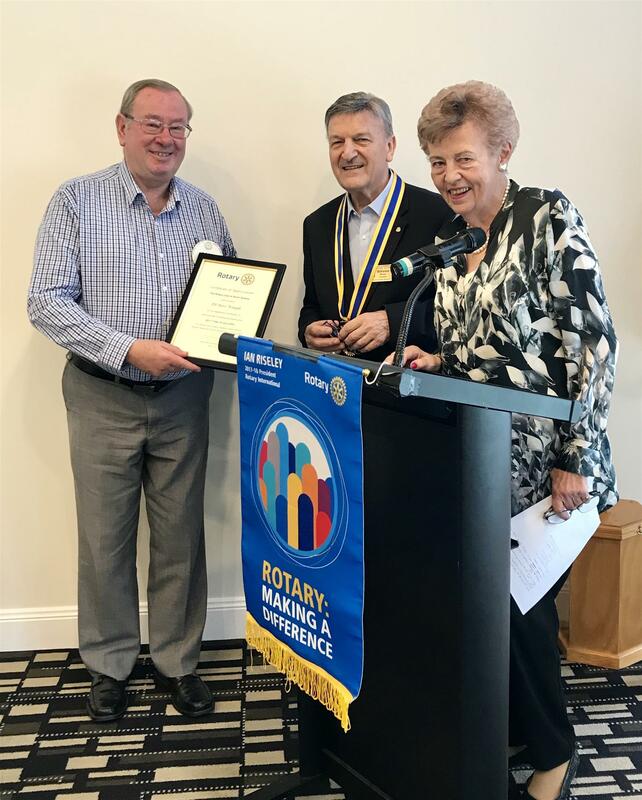 The changeover was attended by Trent Zimmerman the Federal Member for North Sydney who, on behalf of the club, also presented Denis with a Paul Harris Fellow Sapphire Pin Award for his great efforts as president for 2015-2016. A succulent meal for a benevolent cause! If you missed our Peking Duck Luncheon, here's some photos from the day. 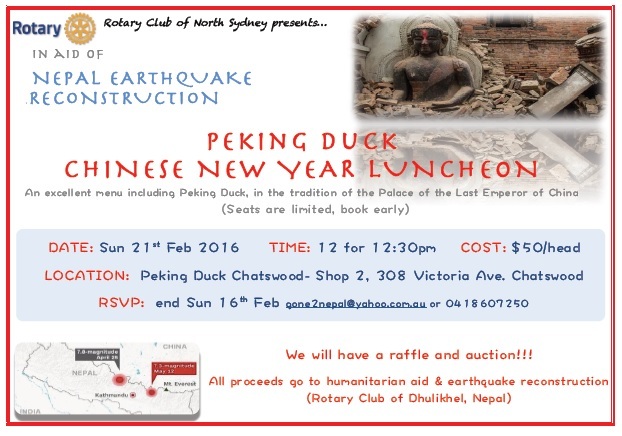 Almost 60 people came to break Peking Duck pancake together and raise money for an earthquake stricken Nepal. Prizes from Luis Garcia signed soccer balls to silver candelabras were won, Nepalese beanies were bought and all in all we raised over $3600. Thanks to all who came! This money has been put to good use by the Rotary Club of Dhulikhel towards the reconstruction of Nepal. Come give your taste buds an adventure and help rebuild Nepal at the same time! Nepal was devastated by two earthquakes in 2015 and much support is still needed to help rebuild their lives. See the brochure below for details and come along OR better still get a group of family and friends together! The mental devastation will stay with the Nepalese people for a very long time but at least we can do something to mend the physical one; hope you can help!